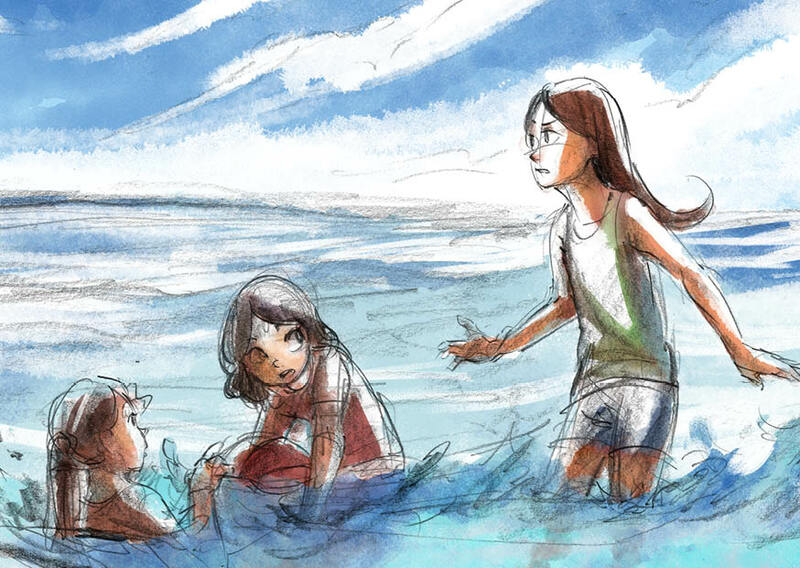 Earth Girl 2: Preparing for the Tsunami is an interactive tablet game about making strategic decisions that can directly increase the survival rate in coastal communities during earthquakes and tsunamis. This casual strategy game was developed by an interdisciplinary team, and it is based on real-life situations, with an emphasis on learning preparedness and survival skills. This sketch is from an exploration of how to best inform communities about the risks they face.